Imbued with the captivating energy that artists Steph Mantis and Dan Piech bring to their work, the Awaken series of VAST photos represents a collaboration of creative and technical mastery. The series explores the artistic beauty of microscopic selenite crystals photographed at extraordinarily high resolutions using specialty equipment and innovative techniques. 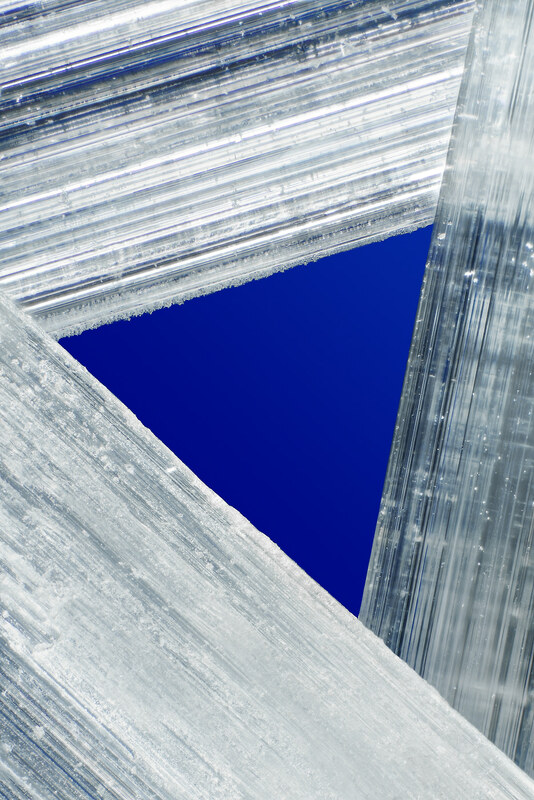 Selenite (Latin for "moonstone") has unique molecular properties that produce elegant crystalline structures and brilliant refractive properties. When combined with Mantis and Piech's meticulously constructed setup of lights, colored filters, microscopes, and cameras, these properties produce stunning imagery that elevates the mood and captures the imagination. Designed to be showcased as sets, the rich colors and powerful compositional language used throughout the series usher viewers to discover tranquility from chaos, beauty from the unseen, and meaning from the abstract. Explore the full Awaken series here.